I haven’t been properly writing for a few months now. The main reason is that I have been starting this Infographic Poster Guideline since June 2014. It took me a few months revising, reviewing and of course doing all this part time. 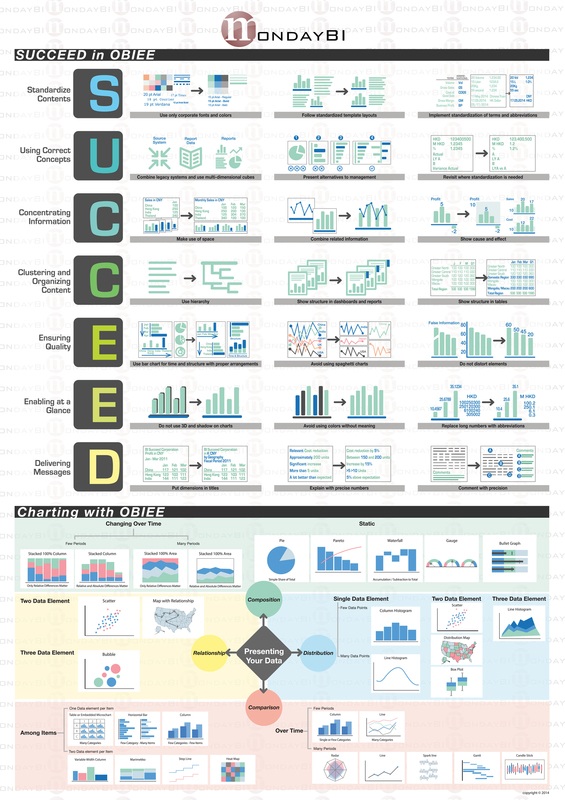 I hope this Infographic will help everyone working with OBIEE dashboard design. Christmas is coming soon and I wanted to finish this off so people may get this before Christmas and New Years holiday. If you like a printed A1 Size copy of this poster, please make a donation and I’ll send this out to you within 8 weeks time. Please email me a receipt of the donation from PayPal and your postal address with subject saying that you want a printed copy of the poster. If you want 2 posters, you still only have to donate once but please say you want 2 copies. The donation is purely for the running of this blog, printing fees, packing fees to reduce mail damage and postage fees. Of course, feel free to download the JPG version. I hope you all like it!